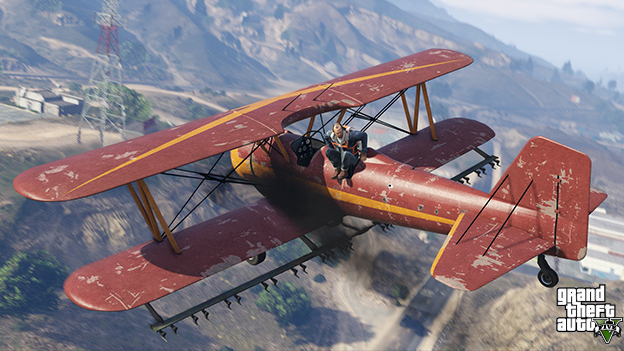 PC users, welcome to the world of Grand Theft Auto V. It’s been a long time coming. Every other platform got their GTA V release before PC users did. It’s been over a year and a half, and a whole new generation of consoles is now out. So the big question is, was it worth the wait? In terms of content, you are basically looking at the same thing you got on the console release: same story, same online mode, so forth, so on. So if you are looking for a whole lot of extra missions or new characters, you are looking in the wrong place. This isn’t a remix or a remake, it’s just a port with a couple extra bells and whistles. 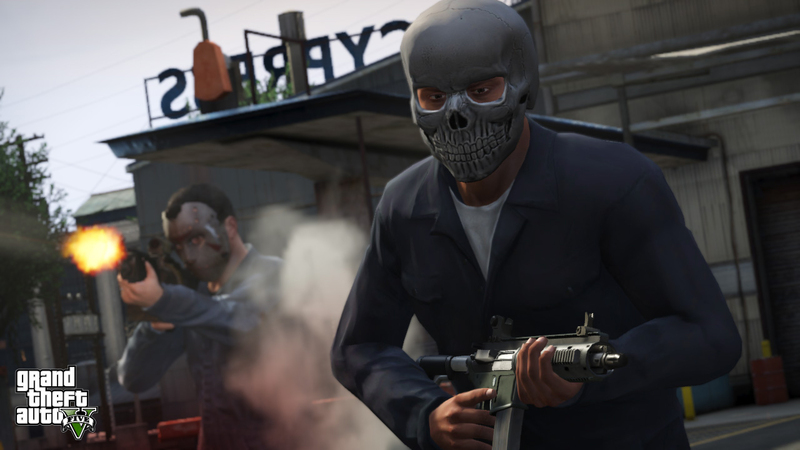 To run it down for those of you who have been hiding under a rock reinforced by a police barricade, GTA V puts you in the shoes of Michael Townley, a former bank robber living under witness protection in Los Santos. 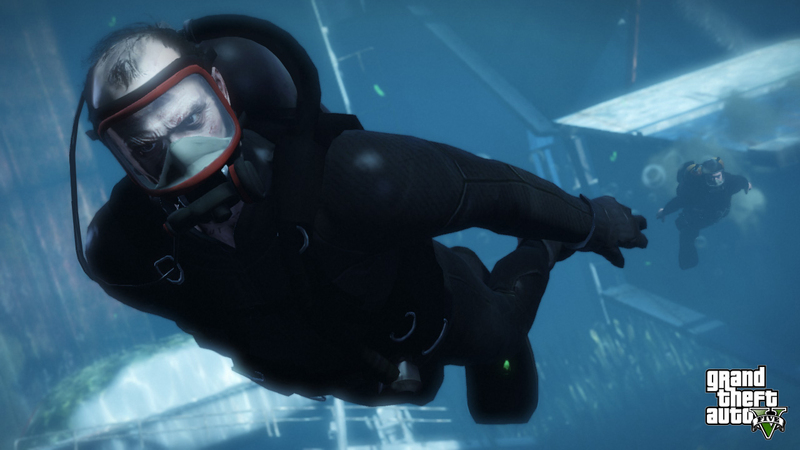 After an unfortunate bout of infidelity and extreme vandalism, Michael finds himself in a tough position, needing to do one more heist in order to secure his safety. Of course, it’s never just one more heist. After hearing of his criminal actions, his old buddy Trevor comes back and gets him back in the crime game. Soon, you are stealing cars, mowing down old ladies, and shooting up building after building as you watch Michael's life simultaneously get destroyed and yet blow up into in action story that is almost comic book in its scope. 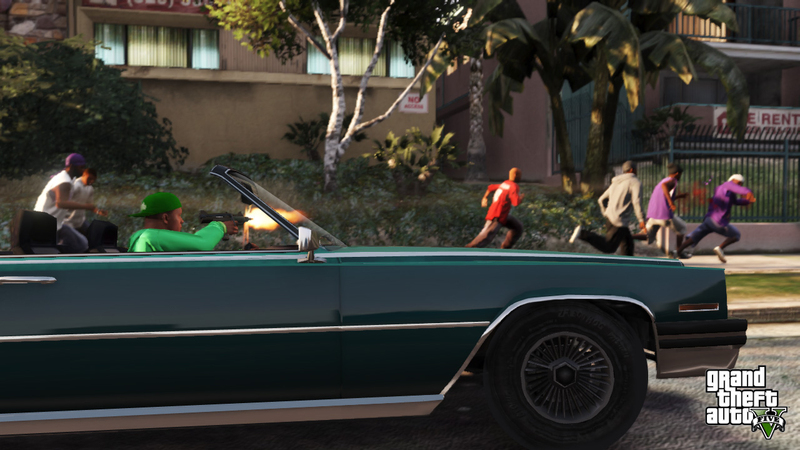 Speaking of mowing down old ladies, that’s the sort of gameplay that you can expect from Grand Theft Auto V. It’s the same old Grand Theft Auto formula that you have come to know and love. Your missions are always one of several varieties. You either drive to a place, collect a thing, kill a guy, or do any combination thereof. It can get stale at times, but the game is good about mixing it up. 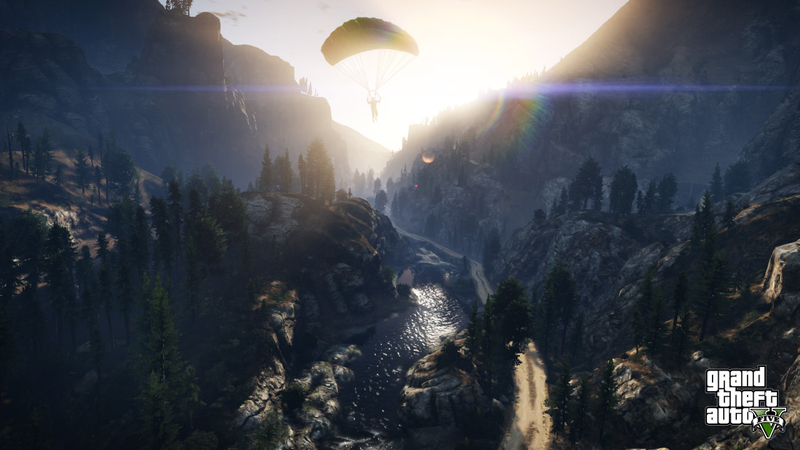 You’ll steal helicopters and motorcycles and break into a ton of interesting places. 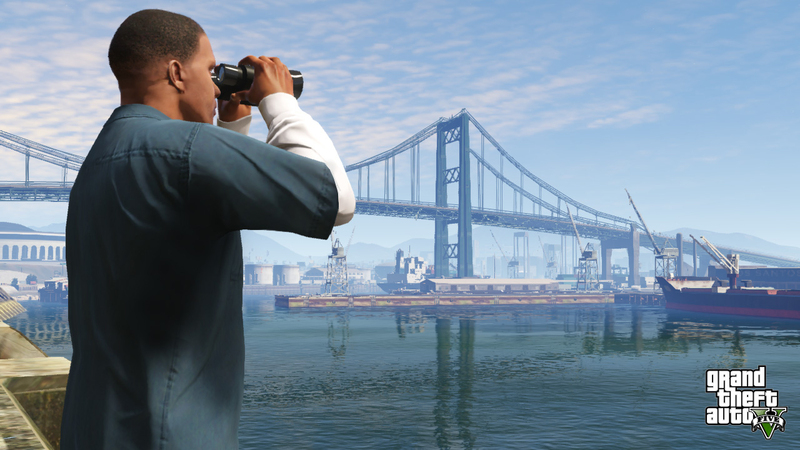 Not to mention the world of Grand Theft Auto V is absolutely huge with a ton of collectibles to find and places to visit. You can lose yourself in the game world easily. 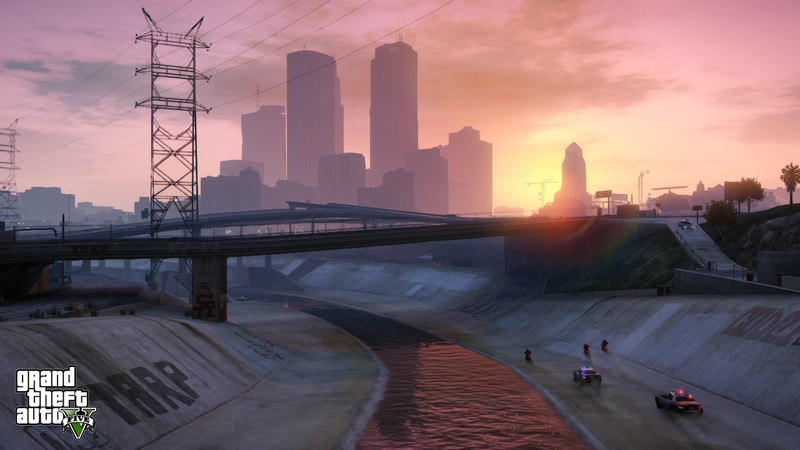 In short, GTA V is a pretty good game. I wouldn’t go as far as to give it the 10 out of 10 that a lot of other outlets gave it, but it’s a worth successor to GTA IV and is probably the best GTA we have seen in a while. 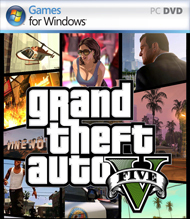 You know what you are getting when you pick up a GTA game, and GTA V has done a lot to perfect the formula. 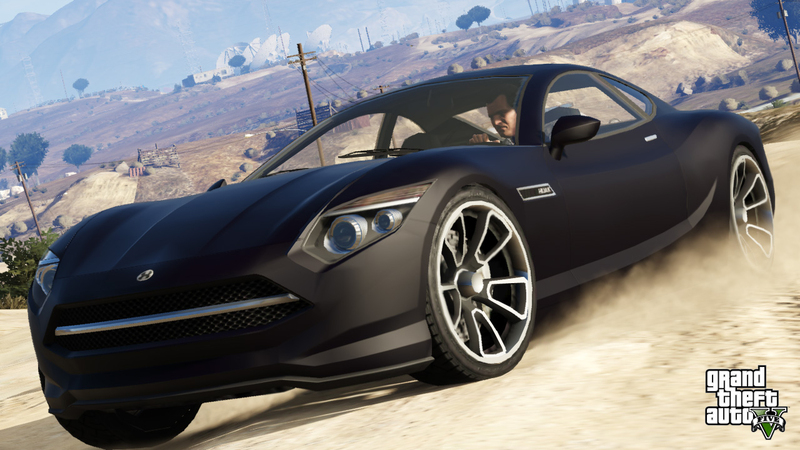 So let’s start talking about what makes GTA V for the PC unique. As is usually the case with any of these ports, the big draw is going to be graphics. 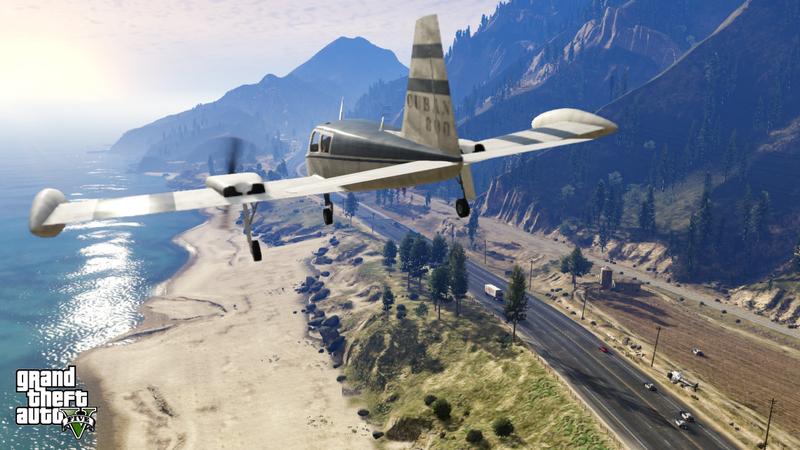 GTA V got a noticeable graphical upgrade when it went from last gen to next gen platforms, and it has gotten yet a further upgrade on PC. The difference is drastic and immediately noticeable. Everything from lighting effects and textures to the way characters interact with objects has been overhauled. There are definitely some last-generation artifacts left over at points. Faces can look flat at times, limbs can feel stiff when bent, and in the right places you'll notice some sudden pop-in. I also experienced my fair share of clipping errors, but I experienced these in other versions of the game as well. Putting these problems aside, it’s easy to mistake this game for one that was designed for next-gen platforms and PCs. 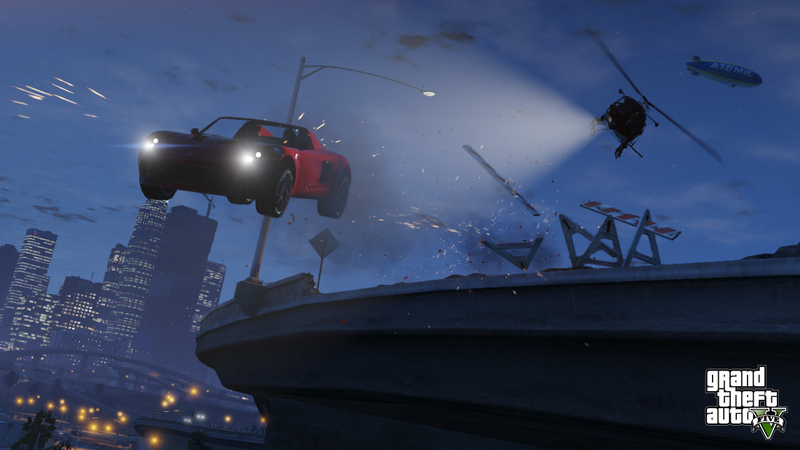 You can even tweak gameplay options to allow the game to render more traffic and pedestrians than it could on last-gen platforms. Even with these settings turned up, a decently recent machine will run the game at a smooth 60 fps. 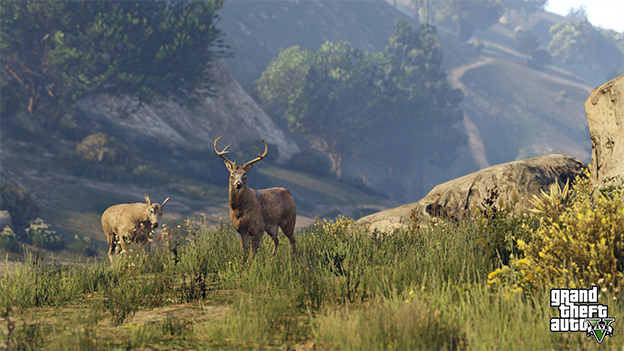 The PC version is definitely the best-looking version of Grand Theft Auto V we have seen so far. This focus on aesthetics is what makes the Rockstar Editor, Grand Theft Auto V’s only real PC exclusive feature, so appealing. 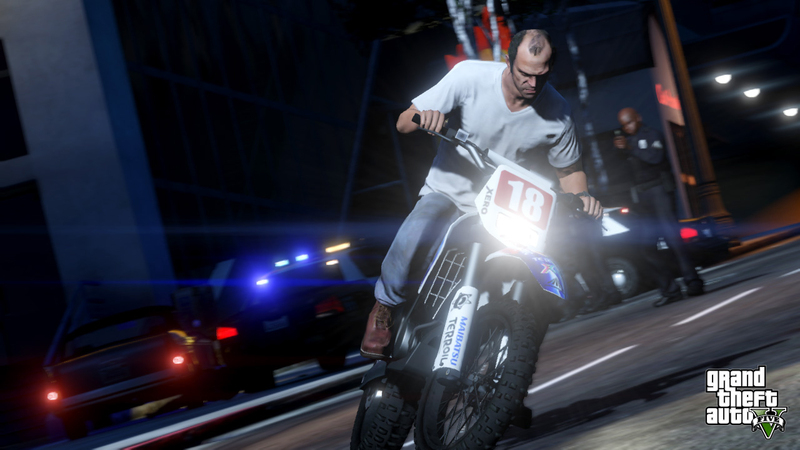 The Rockstar Editor allows you to record, edit, and share movies of your Grand Theft Auto V play experience, either in single or multiplayer. It acts as a sort of combination of a screen capture device and TIVO. You can either press a button to start recording something you are setting up, or, if you manage to do something cool entirely spontaneously, you can use it to rewind back in time and grab the last few seconds of gameplay footage.